Wed., Aug. 15, 2018, 4:22 p.m. 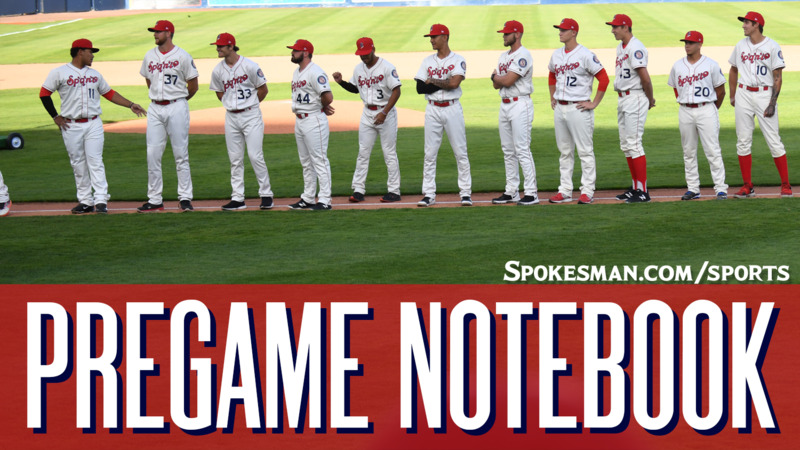 The Spokane Indians (11-8) host the Everett AquaSox (9-10) in the second of a three-game Northwest League series at Avista Stadium at 6:30 p.m. The Indians send RHP Seth Nordlin (1-2, 4.43) against the AquaSox. Nordlin (3-1, 4.26) leads the league in strikeouts with 61 in 50.2 innings over 10 appearances and nine starts. He had 10 Ks last time out in a no decision against Boise when he allowed four runs on six hits without a walk. The righty was a 13th round pick out of GateWay JC in teh 2017 MLB Draft. Player to watch: 1B/DH Curtis Terry. The Big Rig hit his league-leading 14th home run last night and leads the NWL in RBIs, total bases and slugging percentage. He is fourth in active players in average (.333) and second in on-base percentage (.420), behind teammate Diosbel Arias at .439. Last night: Terry and Jax Biggers hit two-run home runs and the Indians (11-8) beat the visiting Everett AquaSox (9-10). It was Terry’s league-leading 14th and the first of Biggers’ career. Starter Tai Teidemann (2-2, 4.28) allowed two runs on two hits and four walks with five strikeouts over 5.2 innings. Reliever Cole Uvila struck out three in 1.2 innings. Promotion: Fireworks Night & Nurse Appreciation. All youth baseball players can join the Spokane Indians at Avista Stadium for a pre-game Youth Clinic. Nurses can register online to receive complimentary tickets for Nurse Appreciation. Weather: Game time – Smoky, 91; Final out – Smoky, 77. Published: Aug. 15, 2018, 4:22 p.m.